Our car did really well. 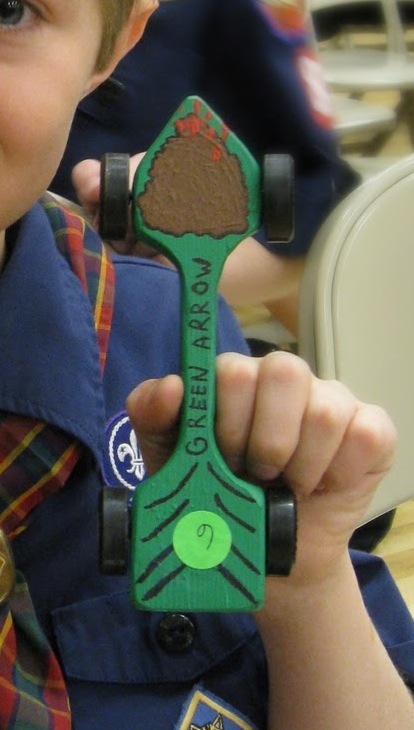 We had the 2nd fastest car in her division. But it was the first year they did the races at the church. So I expect the competition will be much more fierce this year. 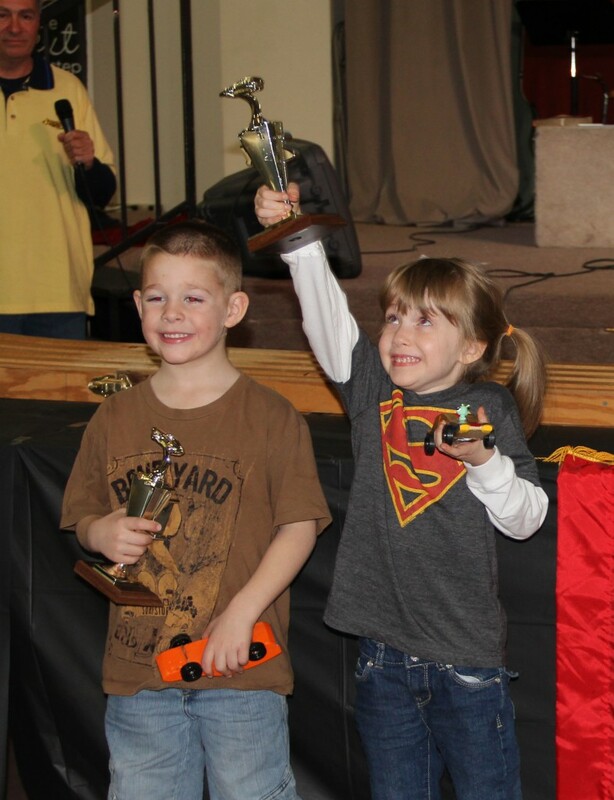 I LOVE this picture: Gillian proudly holds up her 2nd place trophy. Her car’s total race time over the course of all (seven?) races was only 0.1672 seconds slower than the first place car. That means if we could have gotten her car to be just .025 seconds faster per race she would have won. That’s a tight margin. Of course our approach (from a physics and speed standpoint) is a tightly held family secret – just like a super hero’s secret identity. We’ll never tell! However our design influence this year is something we can freely talk about. 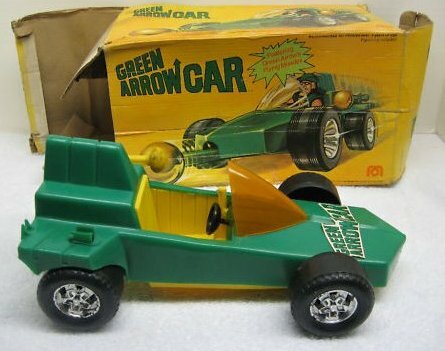 This year Gillian wants to do a Green Arrow car, which I think is an awesome idea. So I decided to do a thread of blog posts here to go over our ideas, design process, show some of the work, and eventually (March 10th) tell how well we did. Last year we started with something that already looked like a car. It was a good intro to pinewood as it didn’t require much cutting. But it limited our ability to be creative. 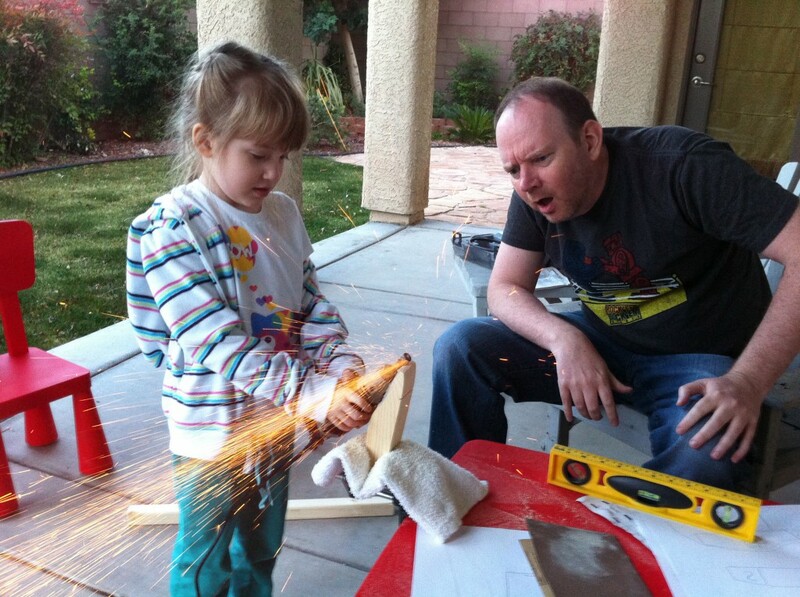 This year we’re starting with a block of wood. So there will be a lot more work to get it there. Gillian first was introduced to the Green Arrow through Batman: The Brave and The Bold. He’s a great counterpart to Batman because, like Batman, he doesn’t have any real super powers. He uses gadgets, technology and skill to beat the bad guys. But it’s really all about his attitude and personality. He’s very competitive and has a good playful banter with Batman. I think the reason Gillian likes him better than Batman is because of his playful sassiness. He’s one of the few characters on the show that doesn’t take any heat from Batman. BTW: There are also rumors of a Green Arrow TV show coming to CW. Of course we’re always on the cutting edge and are in to things before the popular public is. By the time that show is out we’ll be wearing Blue Lantern/Flash crossover gear. 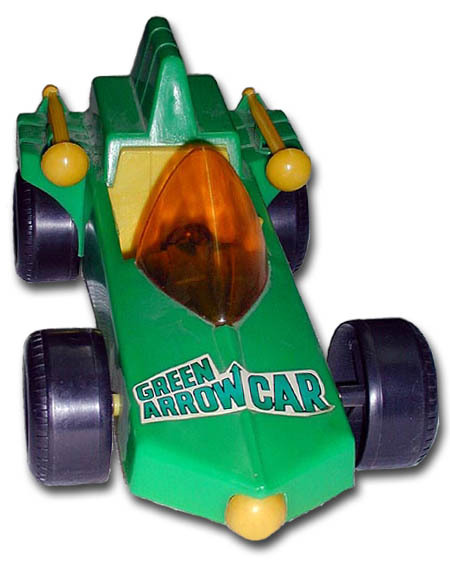 Green Arrow’s car in the show looks very much like an arrow that is green. It’s really more of a rocket looking thing and it has fire coming out the back. The Awana rules are strict with regard to overall size, but the shape can really be anything we want it to be. We could do a very similar design with a cylindrical-ish body and fins around the wheels, but would have to modify the design some to fit the whole thing within the size limitations. And cutting out that design would be more difficult. Of course, unlike the car in the show, the wheels on our car have to be in the exact positions to work on the pinewood track. 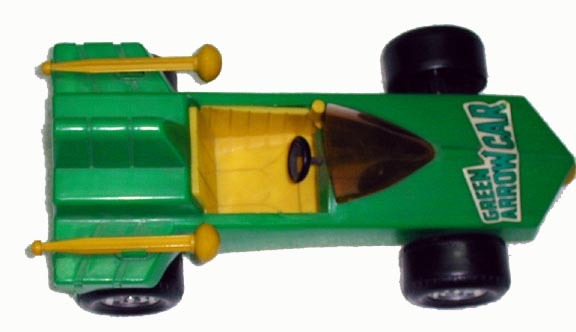 I think this approach would be simpler because it’s a fairly simple shape with wheels on the outside just like a pinewood derby car. I think we could pull off this design a lot easier – minus the windshield. At first glance I liked his design. I think his car looks fast. I think he came in 4th. But I prefer one of the other two designs. Or possibly a mixture between the two. Tomorrow night after school I’ll see what Gillian thinks and we’ll start plotting our return! 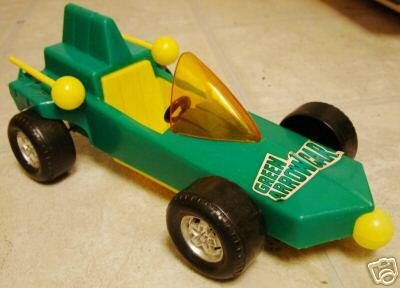 This entry was posted in Awana Grand Prix by admin. Bookmark the permalink.